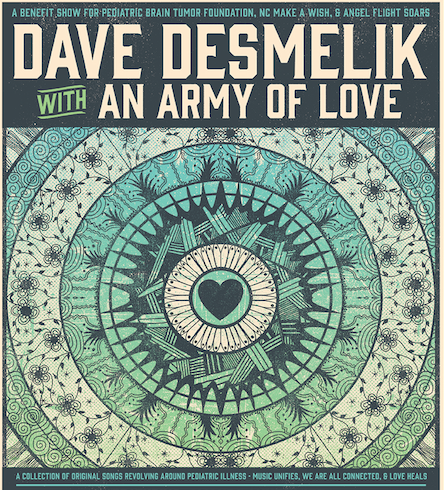 Brevard singer-songwriter Dave Desmelik put together one of the most powerful albums of 2018, Dave Desmelik with an Army of Love. It’s a record that chronicles his son’s journey through childhood cancer. On Thursday night, he and some of the all-star cast of Western North Carolina musicians who recorded the 11 songs Desmelik wrote will celebrate with a benefit concert at The Grey Eagle. Desmelik watched his 5-year-old son Holmes endure a battery of medical testing, surgeries and chemotherapy after being diagnosed with an inoperable brain tumor. In the summer of 2017, the songs on Army of Love poured out of Desmelik. The result is a collection of honest and raw tunes, many of them told from a child’s point of view. Desmelik’s writing style is perfectly suited to this telling. He’s long had a knack for offering stripped-down lyrics that get straight to the point. On this record, that directness serves as a child-like lens that hits you right in the gut. It’s also touching to hear how Desmelik’s many musical friends put their own stamp on the subject matter. There’s a great diversity of style and instrumentation, tempo and range that is distinctly of Western North Carolina and real. It’s rich and varied. For example, I don’t know what it’s like to sit through a chemotherapy session, but hearing Aaron “Woody” Wood draw up the gravel of his past to sing about how “poison runs through the blood” on “Chemotherapy” will chill you to the bone. “Healer,” as sung by Alexa Rose, is a poignant ode to all the doctors, nurses, spiritual counselors and holistic menders who work tirelessly to ease a child’s pain and fear. “Youthful Days,” by Mike Guggino and Mike Ashworth of The Steep Canyon Rangers, stands out for reminding us of the joy of what it’s like to be a child even though that child’s been dealt a horrible hand. Jane Kramer captures the rising hope the nonprofit Angel Flight Soars offers to a family in need. And “Celebrate” by Amanda Anne Platt perfectly illustrates the dueling emotions that children and their families must feel while dealing with their disease. “Have faith with fear, have strength with your tears/have peace with pain, have sunlight with the rain,” she tells us. Desmelik says that music unifies and love heals. Army of Love is proof. The Army of Love concert will be held on Thursday, Jan. 3, at The Grey Eagle. Tickets are $25. 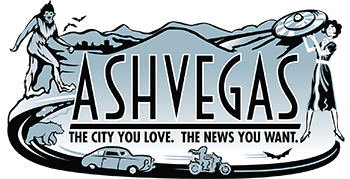 Proceeds will benefit the Pediatric Brain Tumor Foundation (in which funds will be delineated to brain tumor research), Make-A-Wish Central & Western North Carolina and Angel Flight Soars.